Tenerife has been chosen to host the launch of the 2018 Spain and Portugal edition of the world-renowned Michelin Guide. The ceremony will take place on 22 November at the The Ritz-Carlton, Abama, home to two of the island’s Michelin-starred restaurants. The celebration of this prestigious event in Tenerife reinforces the island’s growing reputation as a paradise for fine food lovers. Guests attending the launch event will have the chance to try the delicacies of four of Tenerife’s Michelin-starred restaurants – El Rincón de Juan Carlos (Canarian cuisine with a twist), Abama Kabuki (Japanese influences with modern western techniques), Kazan (nikkei cuisine) and M.B. (Spanish cuisine from master Martín Berasategui). Michelin-starred Chef Erlantz Gorostiza – M.B.’s head chef and the ‘designer’ of the menu of Tenerife’s Sunset and Stars experience – will be the chef in charge of the culinary event. Tenerife is the only Canary Island with Michelin-starred restaurants, offering an authentic cuisine blessed with an array of intoxicating flavours, made possible by the island’s year-round spring climate and fertile land. 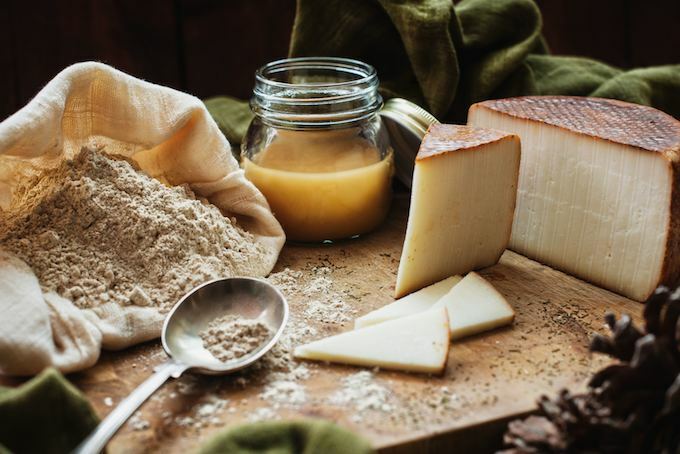 Local products and ingredients including fish, bananas, potatoes, cheese and honey are used with traditional cooking methods to create innovative culinary creations to delight locals and visitors alike. Not to mention the island’s characterful wines, whose singularity lies in the barren volcanic soils on which the vines grow. The Market Nuestra Señora de África (Santa Cruz): Opened in 1943, the market offers a great selection of the island’s delicacies, including fresh fish, meat, fruit and vegetables. Fresh fish: With a vast coastline, rich marine life and a long fishing tradition, it is very easy to try tasty fresh fish in Tenerife’s coastal towns. The villages of Los Abrigos (south) and San Andrés (close to Santa Cruz) are both worth visiting as they have lots of fresh fish on offer. Tapas at La Noria (Santa Cruz): This street is one of the coolest parts of town, packed with tascas and eateries serving endless varieties of tapas prepared with the freshest ingredients. When the sun goes down, these bars turn into clubs to liven up the night at this central old street. The Wine Museum (El Sauzal): A true wine haven, the museum features a wine cellar, a wine shop, a wine tasting room, a restaurant, exhibitions and an old wine-press. Additionally, guests can visit one of Tenerife’s 100+ operational vineyards to get a real flavour of the island’s wines. ‘Guachinches’ (available across the island): Seasonal, family-run establishments serving wine from their own harvest and traditional dishes at very affordable prices – they are not signposted but visitors can ask islanders how to find them.